Basic guitar chord chart with transposition chart. 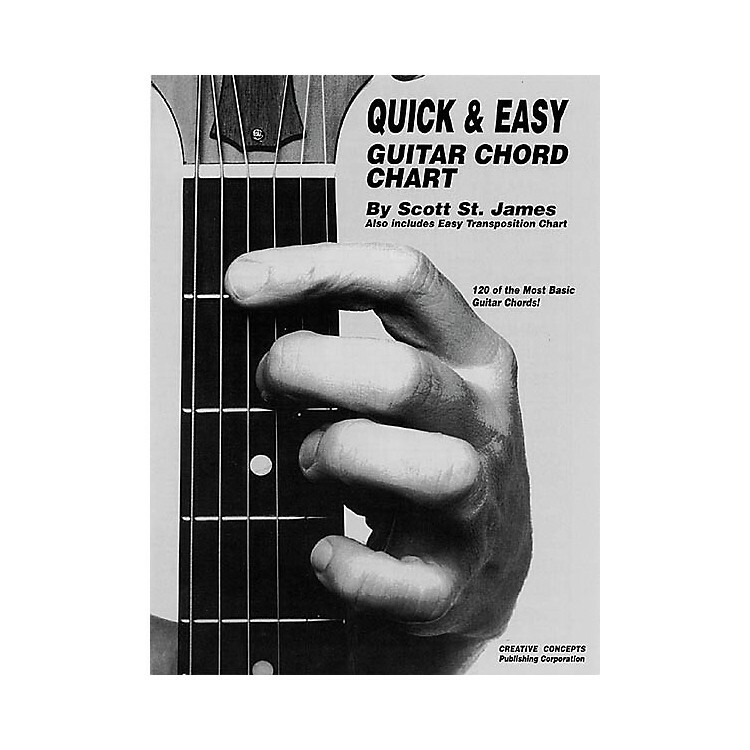 Quick and Easy Guitar Chord Chart provides you with a clear chart of 120 of the most basic guitar chords with a bonus easy transposition chart. A must for all guitar students!